Vasileios is heading the Marketing Analytics and Effectiveness for L’Oral UK across all brands and divisions. His purpose is to educate the business in the use of advanced analytics, and econometrics in order measure the impact of marketing activities, estimate the Return on Investment (ROI) of different tactics and to provide recommendations on improving efficiencies across media channels but also promotional activity for key accounts. Due to his extensive experience in campaign evaluation, Vasileios along with the help of agencies assesses the quality of advertising assets and provides recommendations on how to improve and edit the advertising assets received from international or produced in the UK. Vasileios is running two modules in L’OREAL’s marketing academy, and one module in the Commercial academy. He is also running LOGAN (L’Oral’s Global Analytics Network) where analytics managers share best practises across the globe. Collaborates with a number of business schools running projects with MBA students for L’OREAL, and is a strong supporter of Corporate Social Responsibility initiatives. 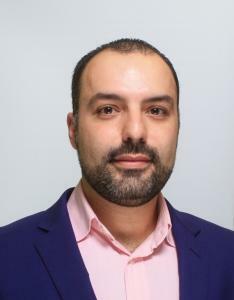 Prior to this Vasileios has worked for a number of years for Mediacom, as a manager in the Business Science department, has also been a senior consultant for Millward Brown Optimor and started as a graduate econometrician at Ninah Consulting (part of Zenith Optimedia). Vasileios has been a judge at Effie Awards UK in 2016. In his free time he draws inspiration from art and he has finished a number of short courses in acting, film, photography, poetry and prose at St Martin’s and Citylit in London.